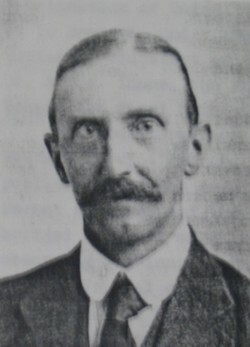 Charles M. Stewart, Bachelor of Science (BSc), was appointed secretary of the Meteorological Commission of the Cape of Good Hope in 1897 with the assistance of the Scottish meteorologist Alexander Buchan*. He succeeded C. Roland Pillans* in this position. As secretary of the commission Stewart was responsible for the distribution of meteorological instruments to a large number of voluntary observers, the collection and compilation of their observations, inspection of the instruments and methods used by the observers, instructions for making accurate observations, and other scientific matters. The meteorological observations were summarised in the commission's annual reports, which were issued regularly up to 1908. When Stewart took up his post in 1897 there were 46 second order meteorological stations reporting results from all over the colony, including some beyond its borders, nine third order or climatological stations, three evaporation stations, and numerous rainfall stations. By 1908 he received results from two subsidiary first order stations, 47 second order stations, 17 climatological stations, nine evaporation stations, and numerous rainfall stations. During 1899 Stewart went on a tour of inspection, calibrating instruments, advising on their placement, and instructing observers in their use. He issued meteorological notebooks to observers, introduced an improved and enlarged Stevenson screen for temperature measurements, standardised the mounting of rain guages, and compiled Instructions for weather telegrams to the Department of Agriculture (1900) and Instructions for the proper handling, mounting and reading of the 'Kew' barometer (1903). Stewart was a foundation member of the South African Association for the Advancement of Science in 1902, though his membership lapsed before 1910. At the association's first annual congress, held in Cape Town in 1903, he presented a historical sketch of the development of meteorology in South Africa, "Meteorology in South Africa, a retrospect and prospect", that was published in the association's Report for that year (pp. 63-74). At the next congress he described an intense snowstorm in "The blizzard of 9-12 June 1902" (Report, 1904, pp. 281-292). When the British and South African Associations for the Advancement of Science met jointly in South Africa in 1905 he presented a paper on "Climatology of the Cape Peninsula and the South-West Cape Colony" that was included in the Addresses and papers... published after the meeting (Vol. 1, pp. 281-292). He also contributed a chapter on "The meteorology of South Africa" to the volume Science in South Africa (Flint & Gilchrist, 1905, pp. 19-60) published in advance of the meeting. This comprehensive discussion of the climate of southern Africa was based mainly on meteorological observations made in the Cape Colony, Natal and Rhodesia (now Zimbabwe) from about 1890 onwards. In "The hot winds of Namaqualand and the berg winds of the South Coast" (Report of the Meteorological Commission, 1901) he stressed the similarity between these winds and F�hn winds, explaining the phenomenon in terms of the adiabatic heating of descending air. He also wrote a "Note on the earthquake and accompanying meteorological phenomena of 28th May 1902 at Cape Town" (Report of the Meteorological Commission, 1901, and Nature, 1902), and some articles for the Agricultural Journal of the Cape of Good Hope (1903, 1910). Stewart became a member of the South African Philosophical Society in 1897 and continued his membership when it became the Royal Society of South Africa in 1908. In 1923 he was elected a Fellow of this society. He joined the British Association for the Advancement of Science in 1905. After the formation of the Union of South Africa in 1910 the weather services of the four colonies were combined and on 1 April 1912 Stewart was appointed as the first chief meteorologist of the Union Weather Service, in the Department of Irrigation. He held this post until his retirement in 1931. Initially there was a long delay in the publication of the Weather Service's reports. Meanvhile he published a number of notes on the weather in the Agricultural Journal (Union of South Africa) during 1912 and 1913. Later he developed a particular interest in regional rainfall and published papers in the South African Irrigation Department Magazine on "Distribution of rainfall over the Orange River catchment..." (1922); "Rainfall of the Kamanassie river catchment" (1922); "Notes on the rainfall over the South-West Cape, with special reference to the Berg River" (1923); and "Rainfall and river notes from a Karoo farmer's diary, Colonies Plaats, 1883-1902" (1921), a review of observations made by C.J. Watermeyer*. In 1912 and 1916 he was an examiner in meteorology for the BSc Agriculture examinations of the University of the Cape of Good Hope. Addresses and papers read at the joint meeting of the British and South African Associations for the Advancement of Science held in South Africa, 1905, Vol. 1. Johannesburg: SAAAS. Agricultural Journal (Union of South Africa), 1912-1913, Vol. 4-6. Agricultural Journal of the Cape of Good Hope, 1903, Vol. 22, 23. British Association for the Advancement of Science. Report of the seventy-fifth meeting...South Africa, 1905. Cape of Good Hope. Report of the Meteorological Commission, 1897-1908. Flint, W. & Gilchrist, J.D.F. Science in South Africa, a handbook and review. Cape Town: T. Maskew Miller, 1905. History of meteorology in South Africa. Weather Bureau Newsletter, Centenary issue, 1960, No. 139, pp. 1-48 (whole number). Jackson, S.P. History of meteorology in South Africa. South African Society for Atmospheric Sciences Newsletter, 1994, No. 19, pp. 15-20. Royal Society of South Africa. Transactions, 1910, Vol. 1; 1917, Vol. 6: Lists of Fellows and members. Schulze, B.R. A retrospect on thirty-seven years in the South African meteorological service. South African Weather Bureau Newsletter, June 1962, No. 159, pp. 83-86. South African Association for the Advancement of Science. Report, 1903, 1904, 1905/6. South African Philosophical Society. Transactions, 1898-1907, Vol. 10, 16, 17: Lists of members. University of the Cape of Good Hope. Calendar, 1913/4, 1917/8.